@LawPavilion is raising the bar with a new App to ease the work of young Lawyers, particularly new wigs. 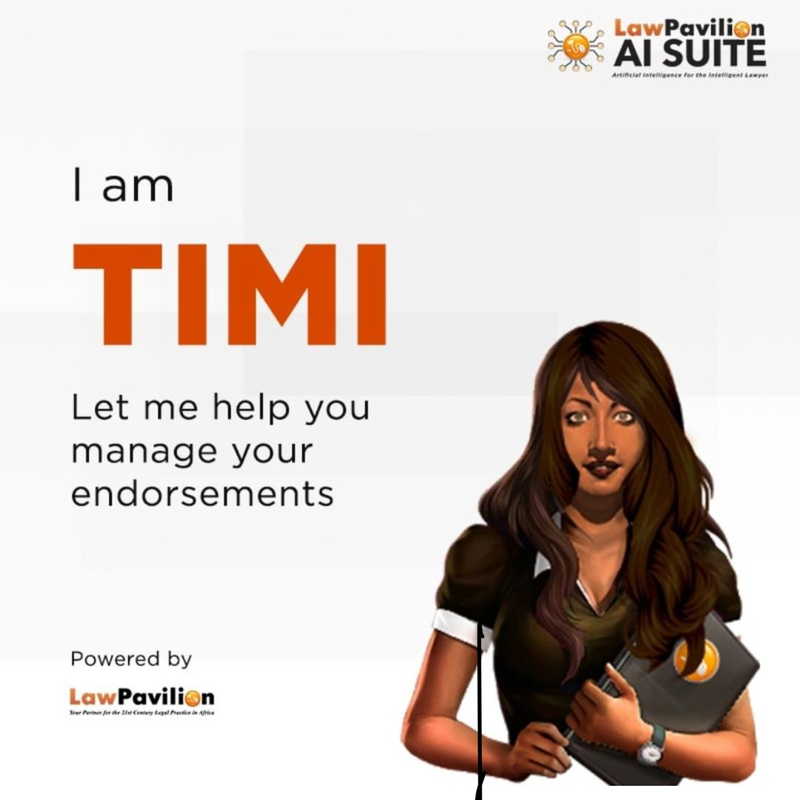 TIMI is Nigeria's First Artificial Intelligence Legal Assistant designed to assist lawyers with legal research, legal opinions, litigation, and legal drafting. With TIMI, a new wig will have access to the LawPavilion Electronic Law Reports, LPELR (online version); be able to chat with TIMI on Civil Procedure and litigation Rules and also get assistance on precedent Forms and Agreement Templates. Imagine the possibilities if you could draft an originating process, a motion or any other court process, without getting stuck or confused, when you chat with TIMI; she can give you a step-by-step guide on how to go about filing or drafting those processes. Also, she provides notes with legal authorities, to support Civil procedure principles. This quick and easy access would definitely aid legal research and collation of relevant data to draft processes. There is no other application that guides a young lawyer this way. Follow @lawpavilion and you may be the first person to meet Timi 🙂🚀.